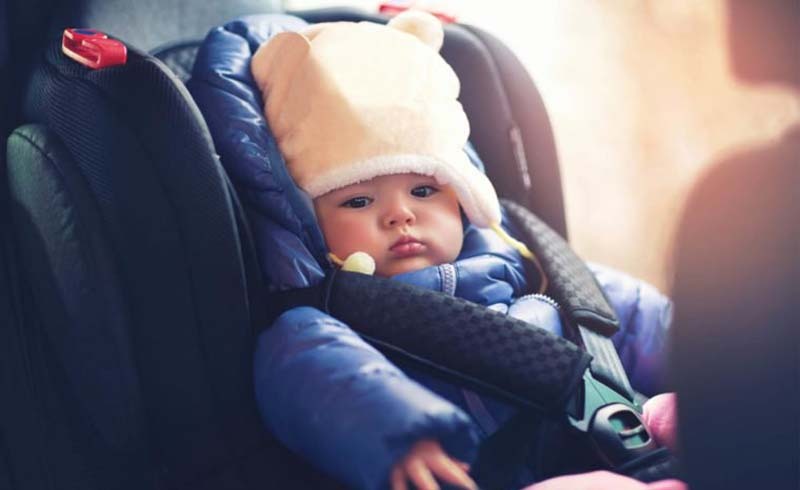 Sure, you wouldn’t dare let your tot brave freezing temps without bundling him or her up, but research shows that wearing a coat in a car seat is a major safety risk. “There is a 75 to 95 percent misuse rate with clothing and car seats,” says Cherlyn Jenkins, certified passenger safety technician, CPST and developer of the Cozywoggle, a new coat to keep young kids safe while strapped in their seats. A TODAY show segment compares a normal crash test dummy with one wearing a puffy coat—and the results are terrifying. The crash test “baby” wearing normal clothes stays in its car seat after a collision. The one wearing a big winter coat didn’t fare so well though. That dummy went flying out of its seat, leaving its puffy jacket behind. Winter coats are so warm because the air between the feathers or fibers acts as insulation. That’s a good thing in frigid outdoor temperatures, but it also leaves a lot of air space between your baby and his or her car seat. If there were a car crash, the harness could be too loose to keep your child secure, according to Consumer Reports. To test if your kid’s coat is too bulky, strap your baby into the car seat, coat and all. Unstrap—but don’t loosen—the harness, then take your kid’s coat off. When you strap your child back in jacket-free, you shouldn’t be able to pinch the strap. If you can, your kid wouldn’t be secure wearing that puffer jacket. Use a blanket. Layer infants with blankets over fastened car seat straps. Invest in gear specifically designed for winter wear and car seat travel. For example, try a car seat poncho for babies and toddlers.